Boating, fishing, swimming, hiking, biking, camping, golf, all forms of outdoor recreation are great summer activities. We hope everyone enjoys all New York has to offer in the summer. Please call to make sure your summer fun has the right insurance 315-437-5191. Thank you for visiting our website. We believe knowing our customers on an individual basis allows us to provide the best possible service. As an independent agency we work with your best interest in mind. We work with companies that have continually proven to offer outstanding claim service for our customers. This website provides a brief description of the products we offer and important claim contact information for our companies. We are happy to assist you and always happy to hear from you when you call or stop by. If you would like more information about the products we offer please give us a call. We offer low prices along with personal local service to help you understand what you are buying. Not all insurance is right for you we but we can help you find what you need. Most new homeowner policies have a $500 or $1,000 deductible. If you have items like computers or photography equipment that you want covered with a low or no deductible we can easily and inexpensively add special coverage for those classes of property so they are covered below the policy deductible. Think of this for students. This is available also for things like jewelry, furs, silverware, fine arts and more. It’s time to get back out on the water. Fishing, Skiing, having fun. Please enjoy the vas opportunities we have on our lakes, rivers, and streams but be safe, follow the Rules of the Road and I encourage everyone to take a Boater Safety Course to help make boating safer for everyone. Landscaping & Lawn Care contractors, please call us for liability insurance & Truck insurance for your business. We have several options available and can quote the same day in most cases. Homeowner insurance policies exclude flood damage. In most cases flood insurance is available and we can help arrange coverage for you. If you are in a preferred zone you may be eligible for a low preferred rate. Call us if you are interested in flood insurance today. In most cases there is a 30 day waiting period before coverage can help so please call today. 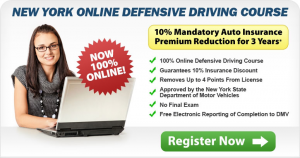 Save money on your car insurance by taking an authorized defensive driving course. Many are available locally and on-line. Check our Defensive Driving page for more detail.